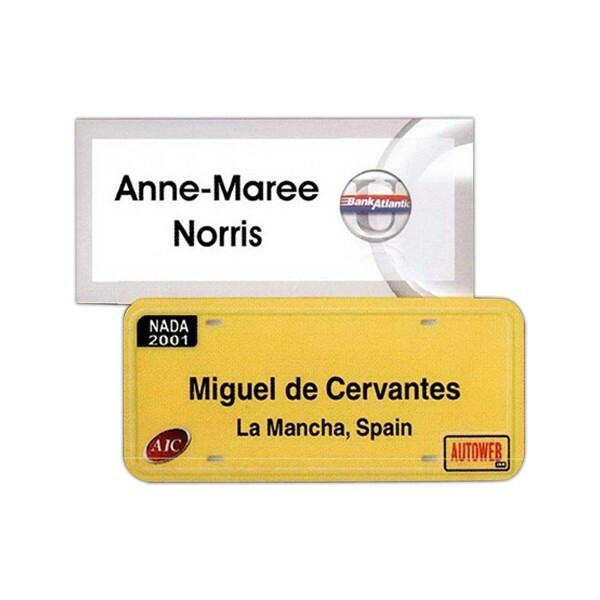 Need a reliable badge in a hurry? 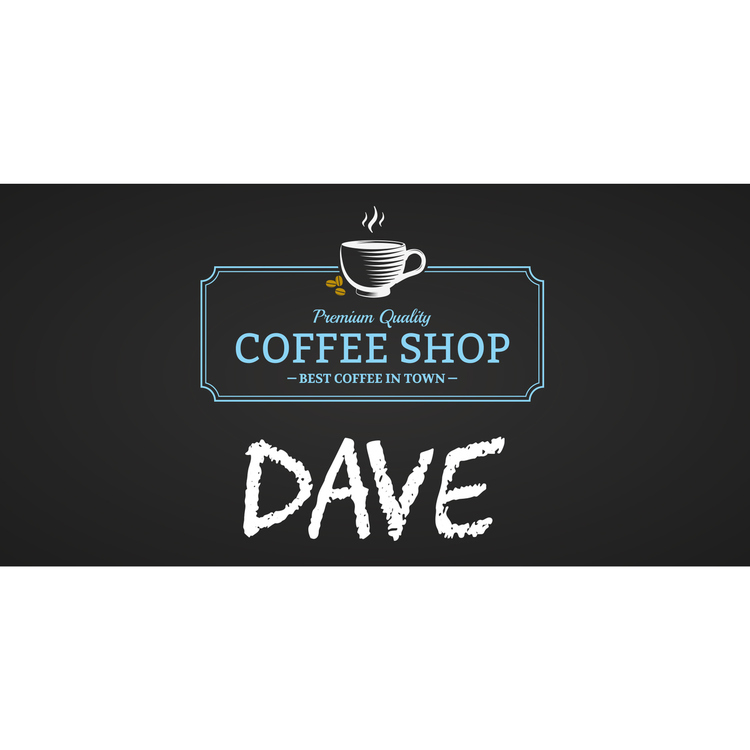 The Phoenix Express features full color graphics under a matte lamination, which provides protection from scuffs that can occur in daily use. 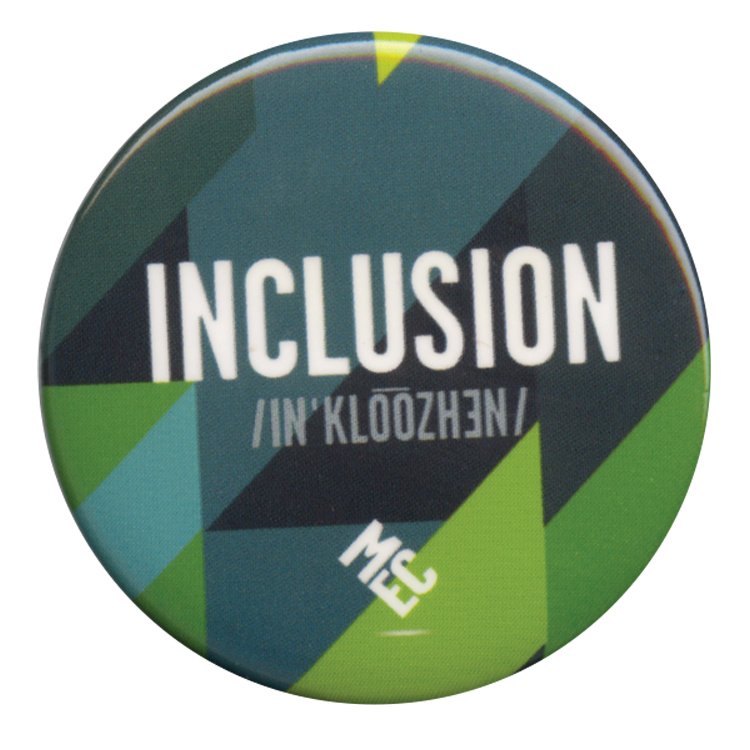 The 1/16" thick plastic ensures a sturdy badge for everyday use. 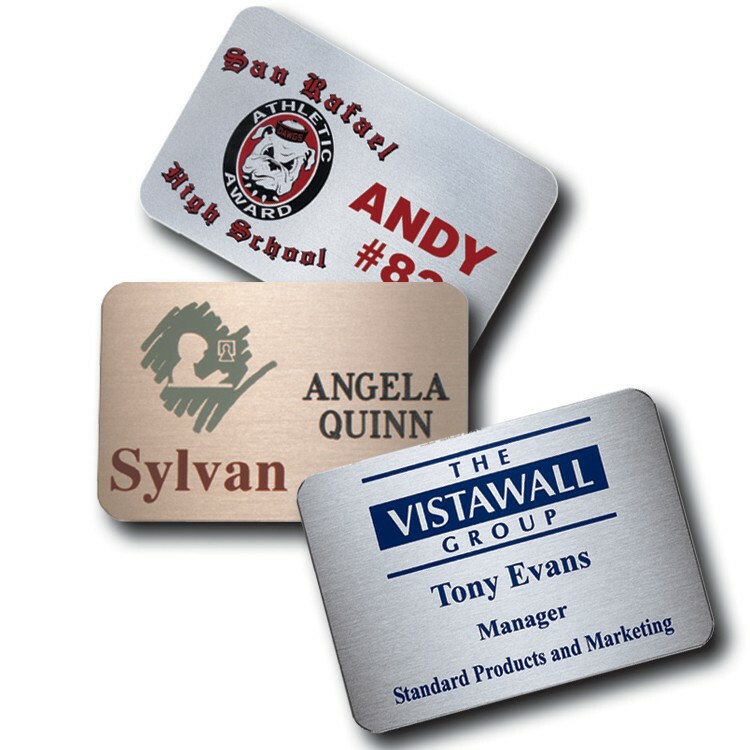 Base cost includes full color graphics, matte lamination, jeweler's pinback, and up to three lines of printed personalization. Attachment upgrades are available, so you're sure to have an attachment that meets your workforce needs. 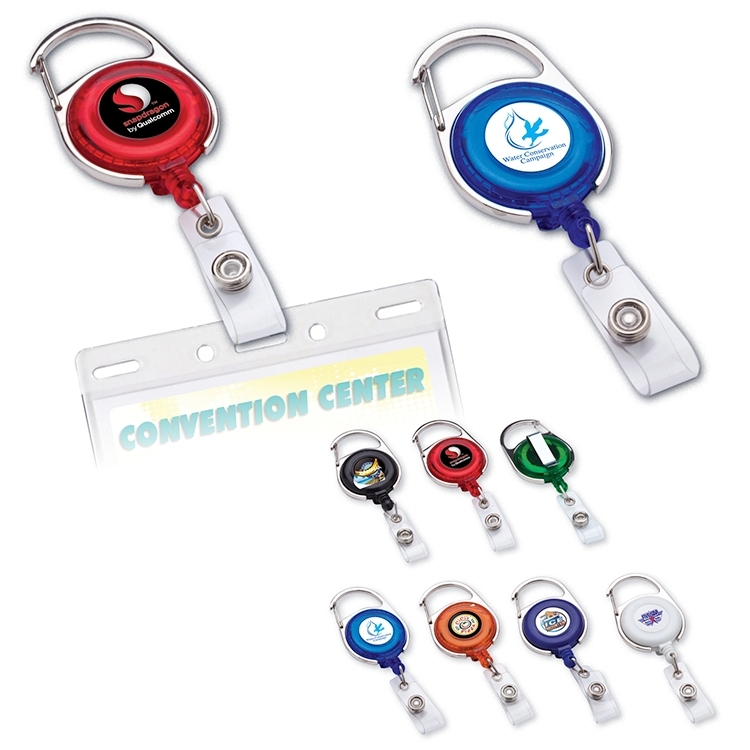 Utilize our Badge Warehouse program to order in bulk and release as needed. Note: Must have purchase order, excel name list, and workable artwork submitted no later than 10:00 AM CST and proof approval must be received by 12:00 PM CST to ship the next day. 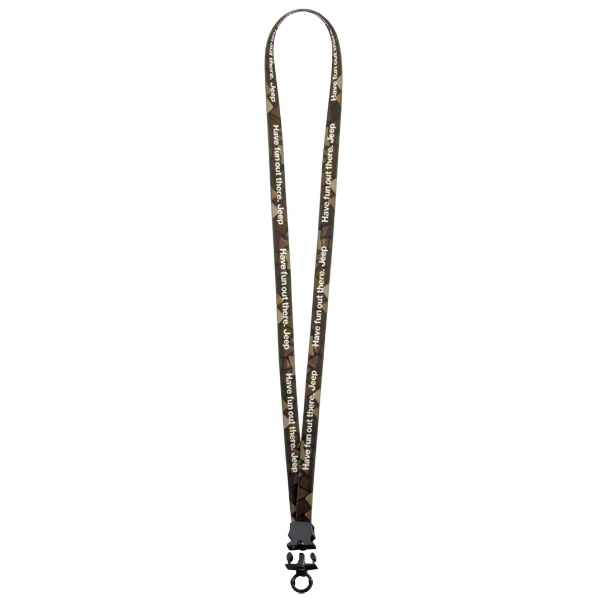 Durability and beauty meet in the Savannah name tag. 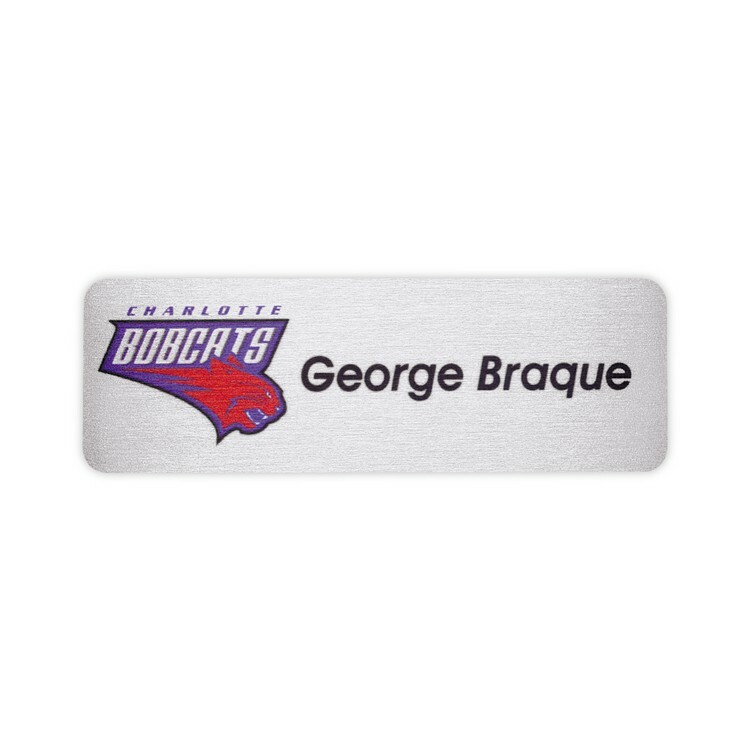 Featuring sublimated full color graphics on your choice of silver, gold, or white enamel .020 aluminum, this badge gives the beauty of metal with a resilient imprint. 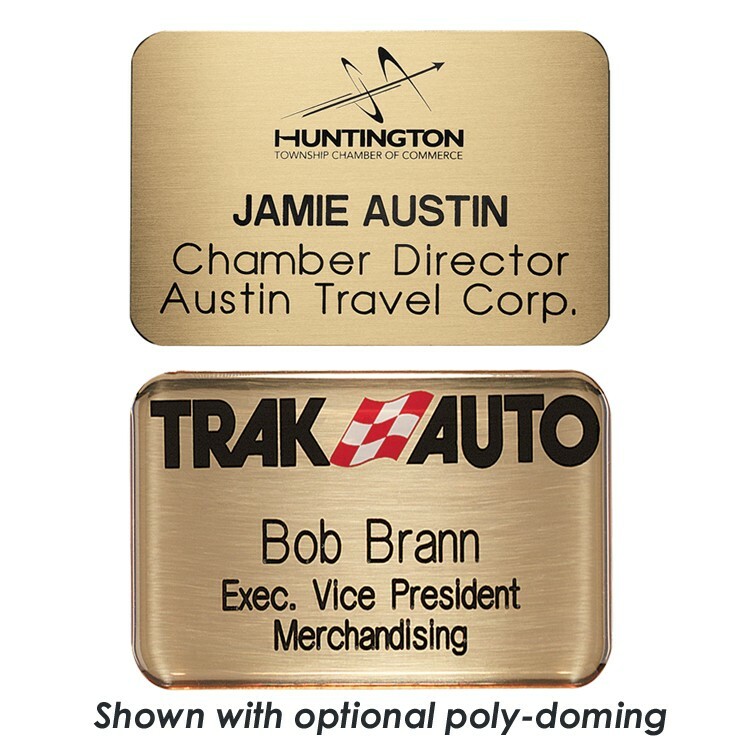 Base cost includes a full color imprint, jeweler's pinback, and up to three lines of printed personalization. 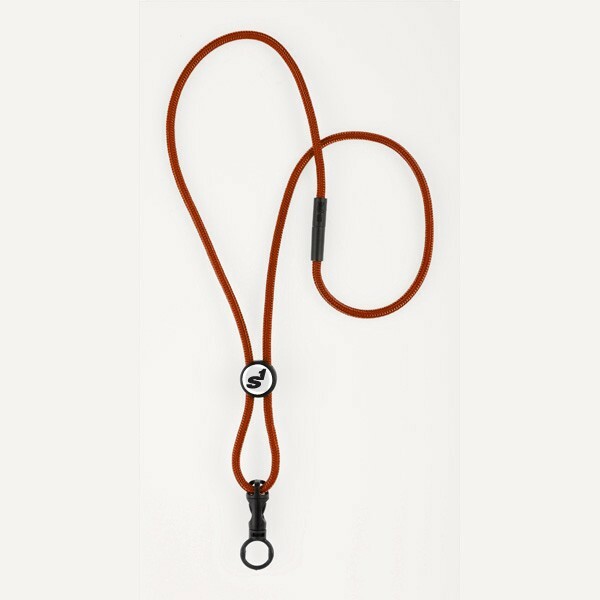 Upgrades available include multiple attachment options, including a magnet back. 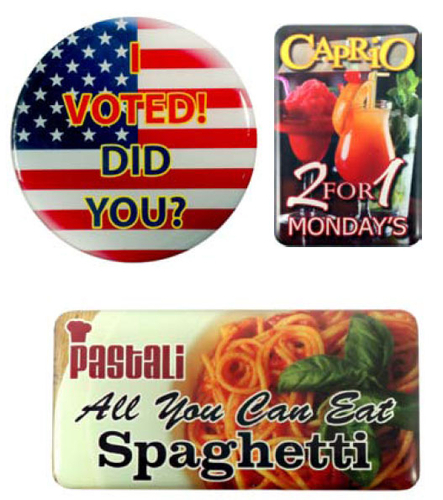 Utilize our Badge Warehouse program to order in bulk and release as needed. Please note that due to the semi-transparent nature of the sublimation imprint, white cannot be printed. 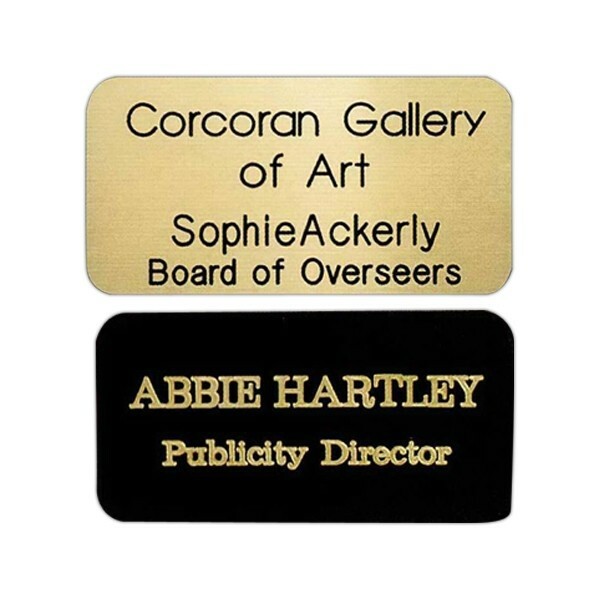 White portions of artwork will show as the base material (gold, silver, or white enamel). NOTE: Must have purchase order, excel name list, and workable artwork submitted no later than 10:00 AM CST and proof approval must be received by 12:00 PM CST to ship the next day. 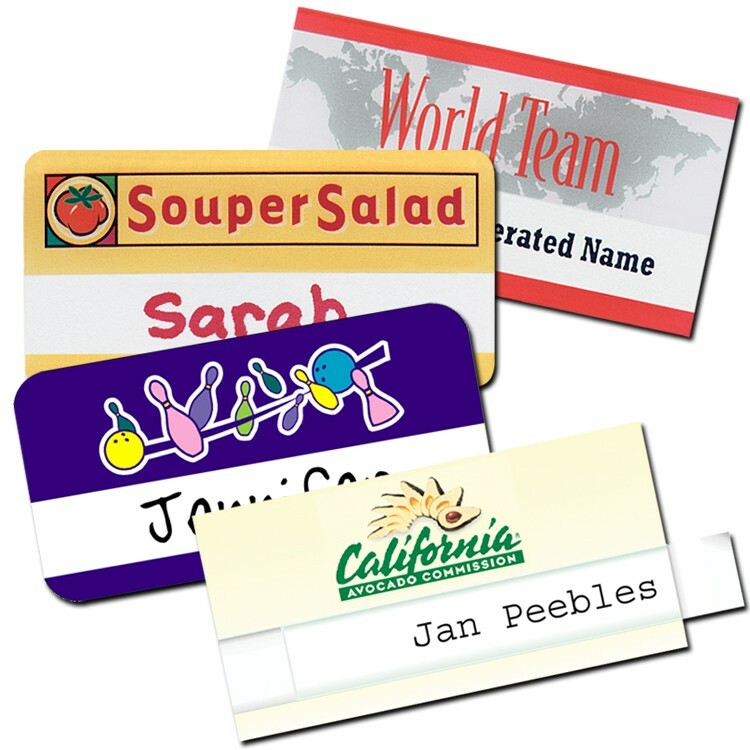 The Dallas name tag is a great way to showcase a vibrant logo and identify your employees with up to three lines of printed personalization. 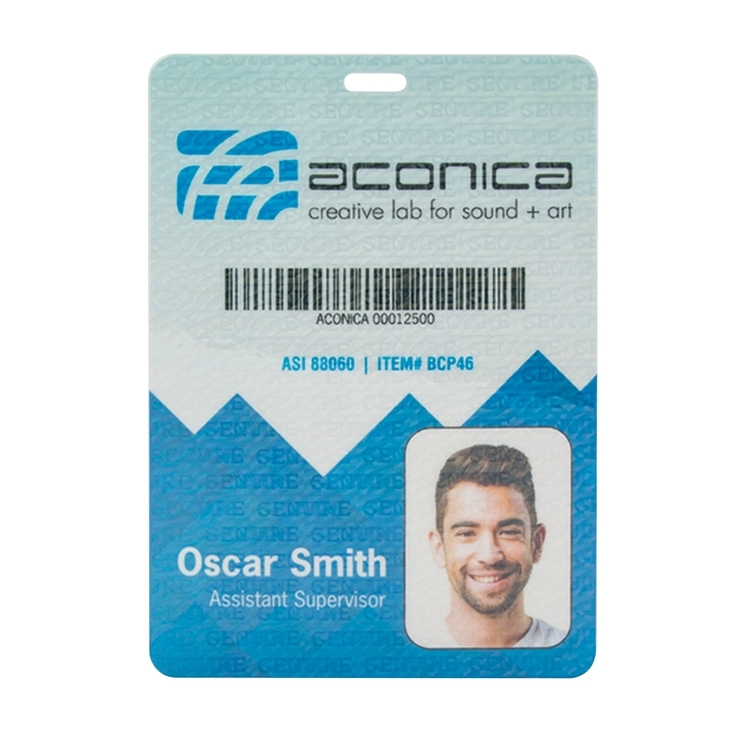 The .030 (credit card thickness) badge features glossy lamination on both sides and is more economical than a traditional full color 2-ply plastic or metal badge. 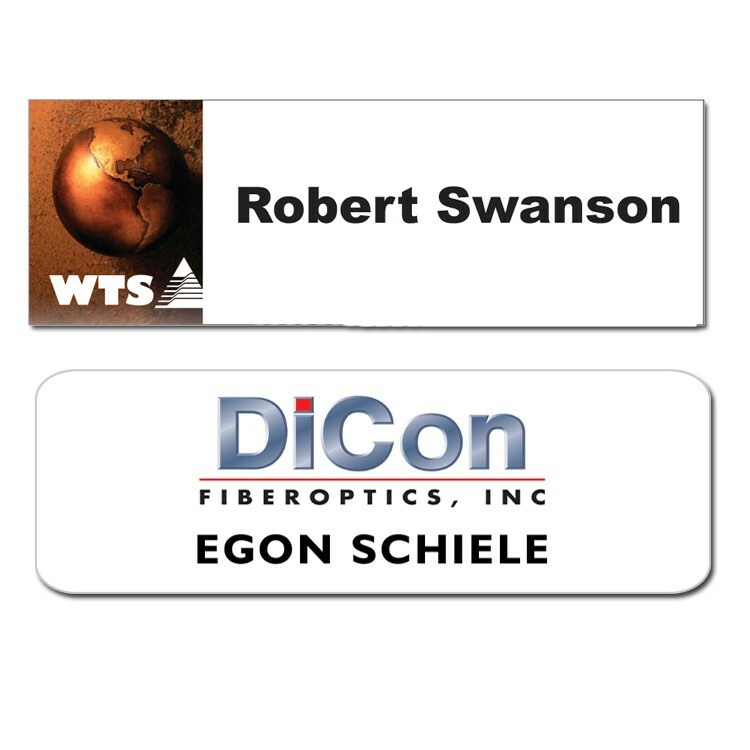 This thin badge also allows for second side printing of static information (additional charge) to add "if lost" information or an additional logo. 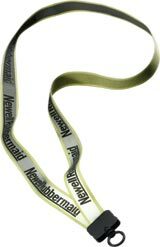 The base cost includes full color printing on one side, three lines of personalization, and a jeweler's pinback attachments. Attachment upgrades and other options are available. Utilize our Badge Warehouse program to order in bulk and release as needed. 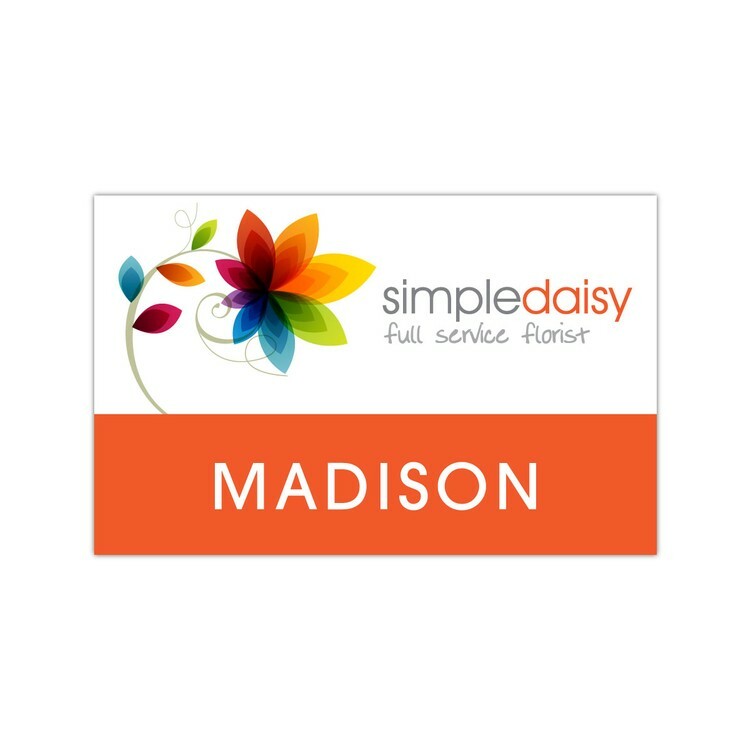 Extremely popular for those looking for a vibrant logo and printed personalization in a rush, the St. Paul Express name tag is perfect for catching the eye with full color graphics. 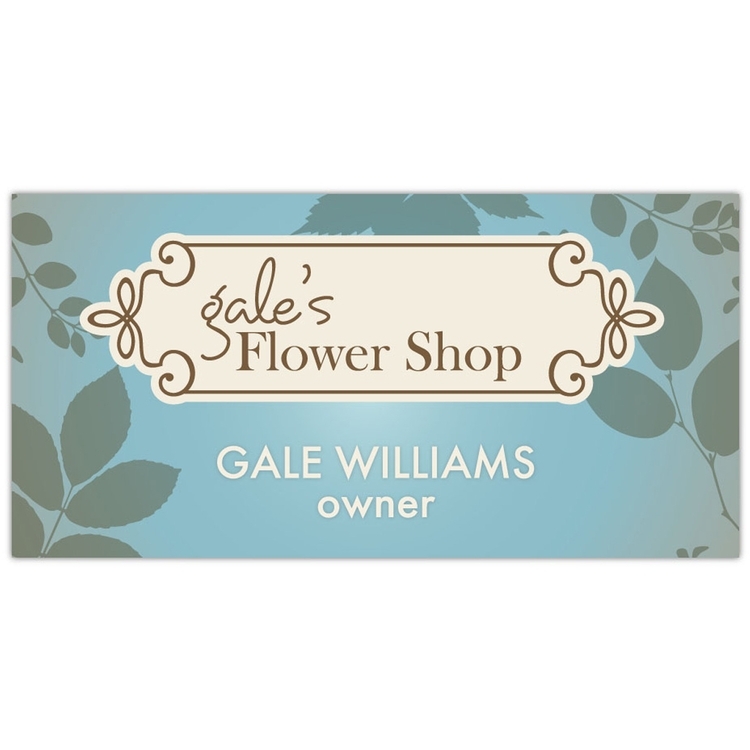 Printed on 1/16" white plastic, it includes up to 3 lines of personalization per piece as well as rounded corners. 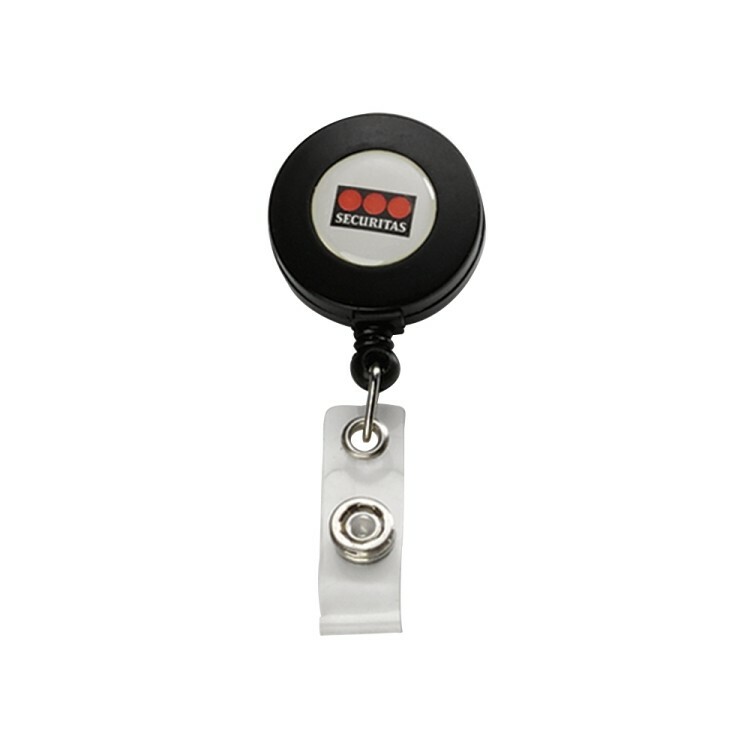 The standard attachment is a jeweler's pinback, but we offer a variety of options including magnet to suit your work environment. 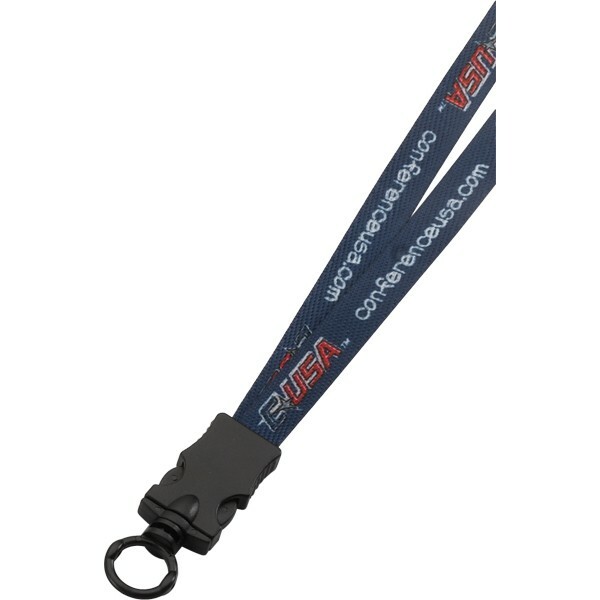 Utilize our Badge Warehouse program to order in bulk and release as needed. Note: Must have purchase order, excel name list, and workable artwork submitted no later than 10:00 AM CST and proof approval must be received by 12:00 PM CST to ship the next day. 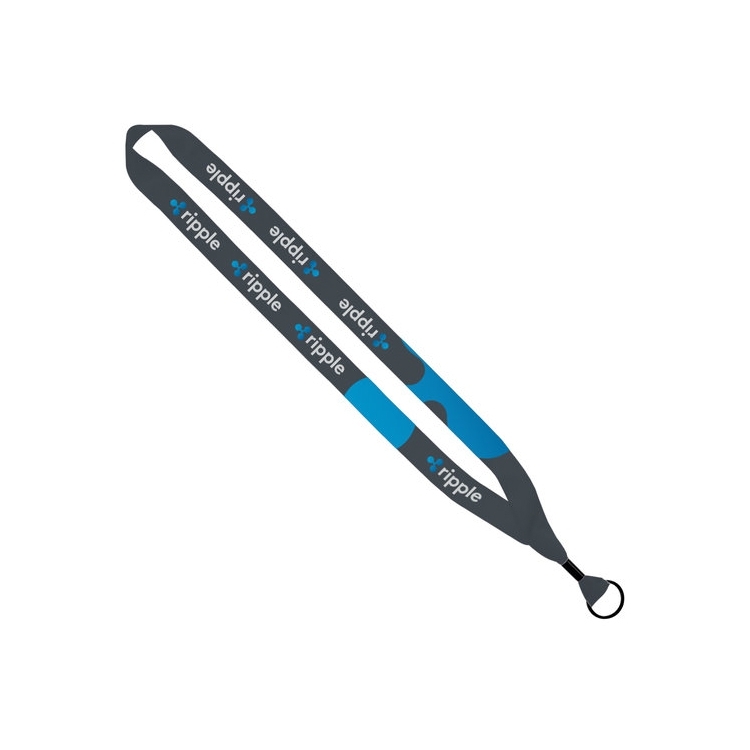 Smooth Polyester Lanyards feature polyester fibers that have a soft finish, making them a popular choice. 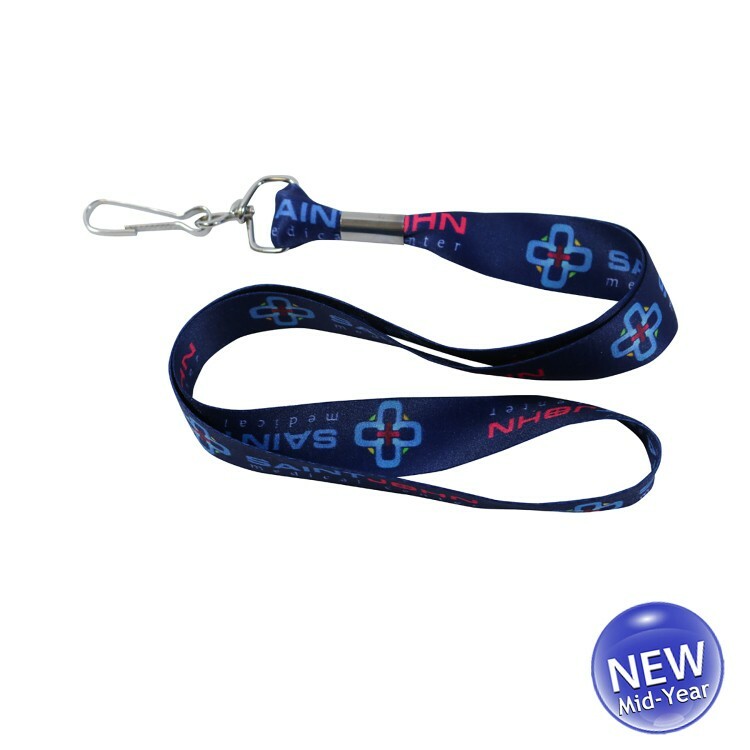 Full Color Dye Sublimation on both sides. Please note the printing process approximates a PMS match. 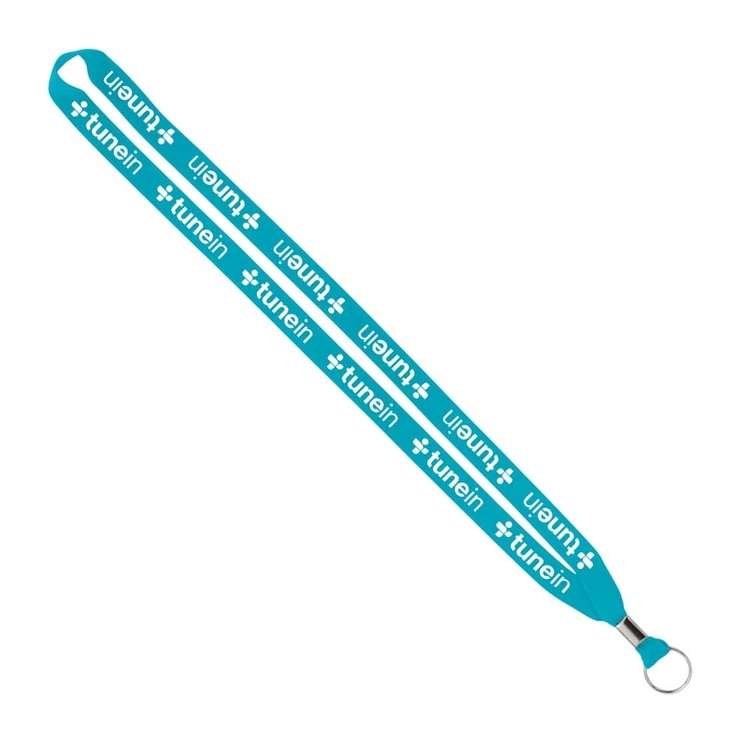 Lanyards are 36" in length.  Click-It BLANK INSERT SHEET: 1.5" x 3"
Additional insert sheets for use with CLKS2 or CLKBNK2. 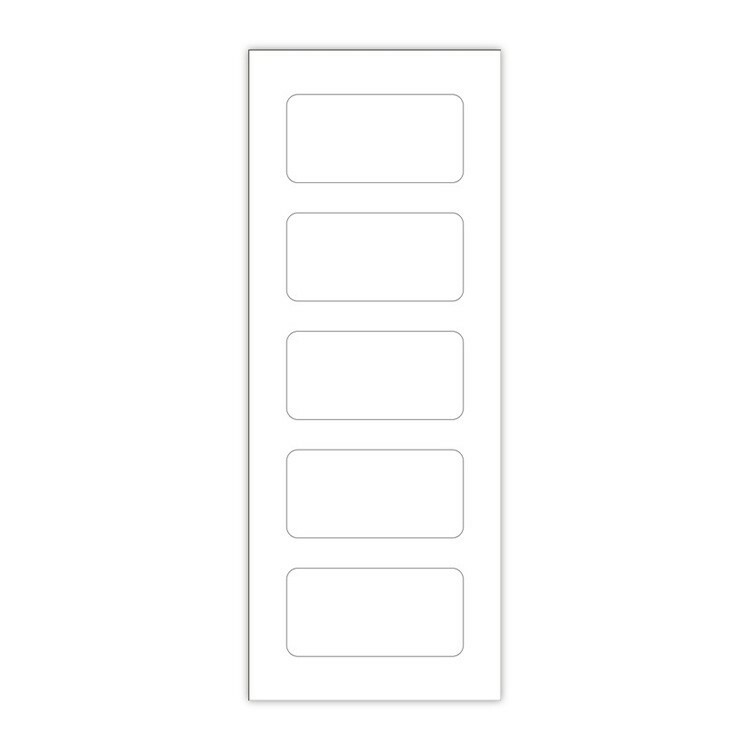 5 inserts per sheet. For use with laser jet printers only.